Easter is quickly approaching and the great thing about decorating for this spring holiday is that you get to incorporate some beautiful pastel colors and spring-like décor into your home. A few simple, Easter touches to your home can really make things look beautiful and it doesn’t take a lot of money or time to do this. 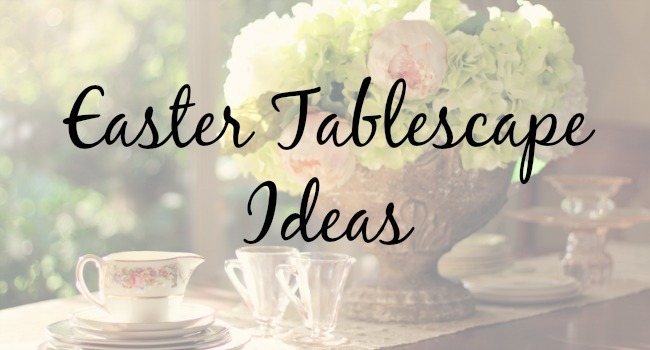 Let’s talk about a few Easter tablescape ideas you can incorporate into your dining room or kitchen. 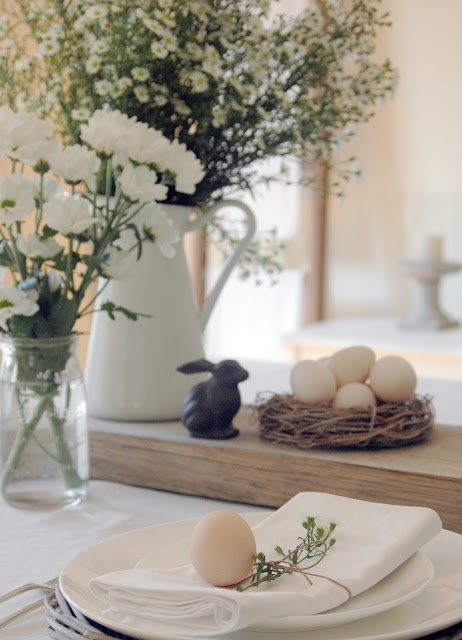 If you have a cottage style, you already now that setting an Easter tablescape doesn’t mean that you have set out a bunch of fake, bright colored eggs or big fuzzy bunnies. 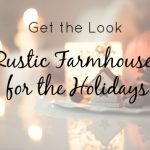 You can keep things very rustic and simple by utilizing natural elements such as twigs and birds nests. Keep the colors very light and simple and stick with the concept of new blooms as it is very spring-like. Add mason jars and pitchers as vases to elegantly pull this whole look together. 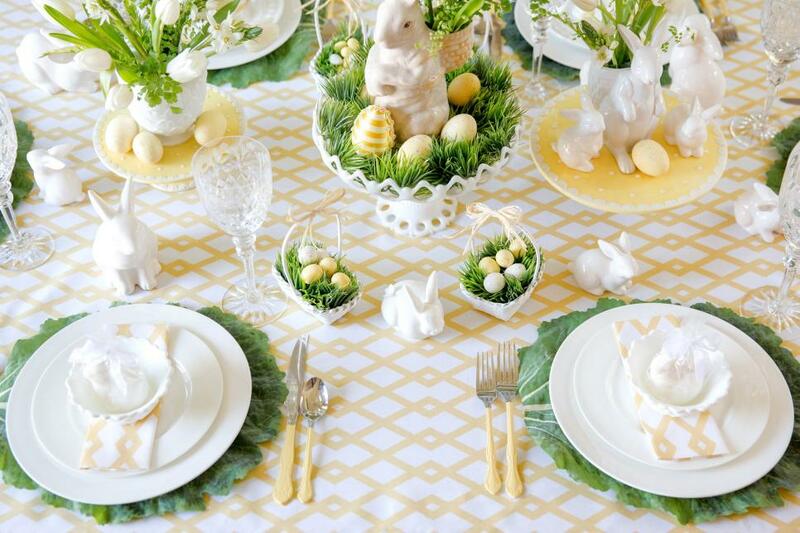 If you have small children in the home and want things to look more like Easter, you can incorporate some Easter rabbits, chicks and eggs into a tablescape without having things look childish or cheap. You can find an impressive selection of rabbit-shaped ceramic containers and vases at a variety of retail stores and online which you can fill with flowers, straw or other Easter-themed decorations. Keep the rest of your décor simple to off set the additional Easter colors. You can lay down a pale colored table runner and the dishes can be simple and white to keep it all looking classy. 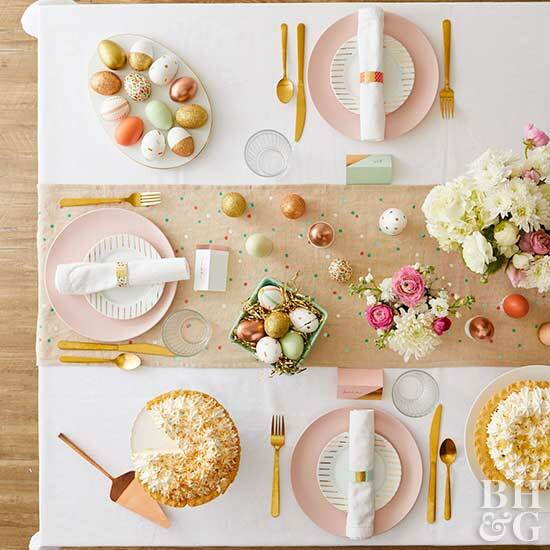 One of the things that is incredible about Easter and springtime is how beautiful and elegant pretty pastel colors can be, especially when combined with gold. You can set an entire table with just subtle hints of color but they can really make an impression. For a centerpiece, you can use a large glass vase and fill it with pastel colored eggs. They can be real ones you have made yourself or you can shop alternatives at your local craft store. You can top the eggs with a few branches or buds or you can leave it alone as is. 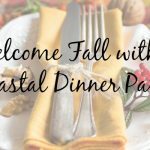 Incorporate pastel napkins, pastel table runner along with white or clear glass dishes to really let the décor pop on the table. Decorating for Easter can be a lot of fun if you embrace the process and think about what scene you want to set. 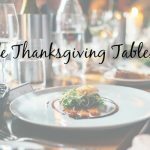 Think about who your guests are going to be and what they would enjoy. 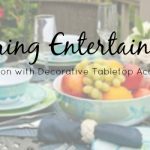 Children will enjoy a bit more color and some animals thrown in while adults will appreciate a subtle, classy Easter tablescape where they can sit back and dream of spring.